At any time during and after a divorce in the state of California, if a judge issues an order regarding property division, child custody, spousal support, child support, or child visitation, both ex-partners are expected to abide by the court order. If one ex-spouse fails to comply, the other ex-spouse has several legal options. If your ex-spouse has been ordered to pay child support or spousal support and you are not receiving it, in many cases, a family law attorney can help you take legal actions including but not limited to wage garnishments, bank account levies, intercepting tax refunds, and having the delinquent parent charged with contempt of court. If you find your ex-spouse is failing to comply with any divorce-related court order for months and months, contempt of court is a powerful legal tool. However, drastic legal measures are not always required to get your ex-spouse to follow the court order. An experienced Orange County Orange County family law attorney with the Bayati Law Group may be able to help you by acting as a mediator or negotiator, and in many cases, an agreement acceptable to both ex-spouses can be achieved without hostility or legal force. Realistically speaking, of course, no one can literally “force” another person to comply with a family court order regarding spousal support, child support, visitation, or related matters. However, the lack of compliance can carry significant legal penalties in California. Like any other civil or criminal judicial matter, a judge has the authority to hold someone in contempt of court if that person does not comply with the court’s orders. People often stop making payments because they are unable to do so because of a change in circumstances. But, this is not an excuse to break the rules. If someone cannot afford to make payments, he must file for a modification of the court order and go through the legal process. The lawyers at the Bayati Law Group routinely help clients who need legal assistance to deal with a non-compliant ex-spouse. In general, contempt of court–or failure to comply with the terms of the court order–is rare in divorce-related disputes, but if your ex-spouse has routinely failed to obey the court’s orders, speak with an experienced Orange County Orange County contempt of court lawyer with the Bayati Law Group at once about a contempt of court request. Your ex-spouse is the subject of an existing valid court order. Your ex-spouse has knowledge of that court order. Your ex-spouse has the ability to comply with the court order. Your ex-spouse has willfully failed to comply with the court order. Judges try to avoid putting a parent in jail for not paying spousal or child support. Usually, it happens only if an income-withholding order and a wage garnishment won’t work. California’s courts recognize that a jailed parent cannot earn the money to make child support payments or spousal support payments from a jail cell. Nevertheless, the penalties for contempt of a family court order are considerable in many states, including California. For a first or second contempt of court, the penalty is performance of community service for up to 120 hours, or incarceration for up to 120 hours, for each count. On a third offense, the party cited for contempt will be sentenced to up to 240 hours of community service, or incarcerated for up to 240 hours. The offender will also have to pay an administrative fine for the community service, attorney’s fees and costs, and fines to the court. Finally, if the offender still has the financial ability to comply and refuses, the period of incarceration may continue until there is compliance. When the case involves child support, the court may allow the parent who should be receiving the child support to seize assets or to require a deposit for child support payments. An experienced Orange County contempt of court lawyer with the Bayati Law Group can explain your other options and help you make the legal choice that’s in your own best interests. If your ex is already in violation of a court order regarding spousal support or child support, do not try to make arrangements with your ex on your own regarding delinquent payments. After a divorce is final and a settlement or a judgment is in place, unofficial agreements made between you and your ex-spouse have no legal weight and are thus unenforceable. Instead, you’ll need to take formal legal action with the help of an experienced Orange County child support enforcement lawyer. The attorneys at the Bayati Law Group care about your issue, and will review the facts of your case, including what has already been filed with the court and what steps should be taken next. The Bayati Law Group will use every available legal tool on behalf of clients who are struggling with non-compliant ex-spouses. To encourage compliance, the state of California adds interest and surcharges to delinquent child support accounts. If a child support payment is thirty or more days past due, the noncompliant parent may receive a notice that he or she has 150 days to pay the past due child support. If it is not paid within that time frame, the parent’s driver’s license will be suspended. California establishes a set interest rate on missed child support payments at ten percent per year. If you need immediate legal representation to help you obtain the child support payments or the spousal support payments that a court has ordered, speak at once with an experienced Orange County contempt of court lawyer at the Bayati Law Group. We help our clients to enforce child support orders and spousal support orders, and we provide the legal advice, insights, and committed representation that divorced parents so often require. Whether you need immediate legal representation regarding any divorce-related legal dispute, or if you simply need sound legal advice and guidance to help you plan for your future, an experienced Orange County family law attorney at the Bayati Law Group is available to offer an assessment of your situation, to discuss the full range of your legal options, and to help you make the right decisions for yourself and your children. It is our policy to treat every Bayati Law Group client and new prospective client with complete respect and is extend every possible professional courtesy. Every client phone call and email is returned promptly by someone in our office. You can schedule an appointment today to speak with an experienced family law attorney at the Bayati Law Group regarding a contempt of court request or any other matter of family law. Our phone number is (949) 798-5700 or you can complete the form on this website’s contact page and someone will contact you to discuss our services. For more info on our location, visit the contact page to see a map of our office, which is located in the city of Newport Beach. The Bayati Law Group serves clients in all matters pertaining to family law in Orange County and throughout southern California. "A dignified representation! Brian Bayati assisted me in the most difficult decision of my life, to end a nearly thirty year marriage. As difficult as it was, I valued his compassion and professionalism in keeping me abreast of what I needed to do and of my legal options. I appreciated his kind prompt replies to all of my questions and concerns. Thank you Brian and Bayati Law Group for providing me with a dignified representation!" Lori A. "I have worked with attorney Brian A. Bayati on numerous cases over the years and have come to know and rely on him for his diligence, thoroughness, honesty and integrity. He is a fantastic trial attorney with a keen understanding of the codes of civil procedure and evidence. Yet his intelligence does not interfere with his high level of professionalism. Furthermore, he has always been more than reasonable and fair in his billing practices. As an attorney myself, I would hire Mr. Bayati to handle my own case if the need arose." Vanessa N.
“I went to Brian when I was emotionally destroyed and needed legal help with a family law matter. During the course of his representation of me, he displayed characteristics of an honorable and kind man who was not focused on my money, but my best interest. Attorney Brian A. Bayati really cares!” Leila S.
Divorce Depositions In Orange County: What Can I Expect? 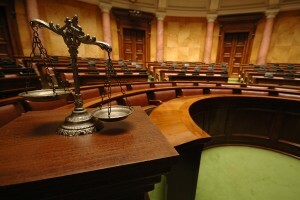 What Happens During Divorce Court In The State Of California? © 2017 Bayati Law Group, P.C. All rights reserved.